Hello, everyone! Welcome to this week’s Carnival of Space. This traveling celebration of the week’s space blogs has landed here at CosmoQuest for the 366th issue. We hope you enjoy! Universe Today has some featured astronomical highlights. First, by Shannon Hall, “We’re at the comet! 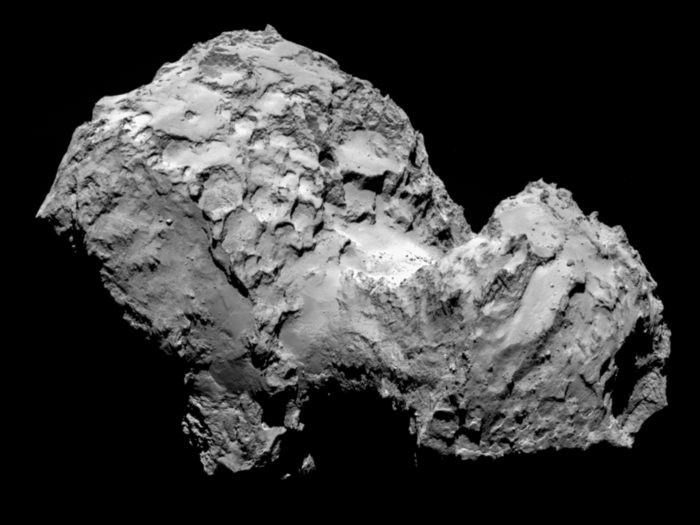 Yes,” exclaimed Rosetta Spacecraft Operations Manager Sylvain Lodiot, confirming the spacecraft’s historic arrival at Comet 67P/Churyumov-Gerasimenko during a live webcast on the morning of Aug. 6 from mission control at ESA’s spacecraft operations centre (ESOC) in Darmstadt, Germany. 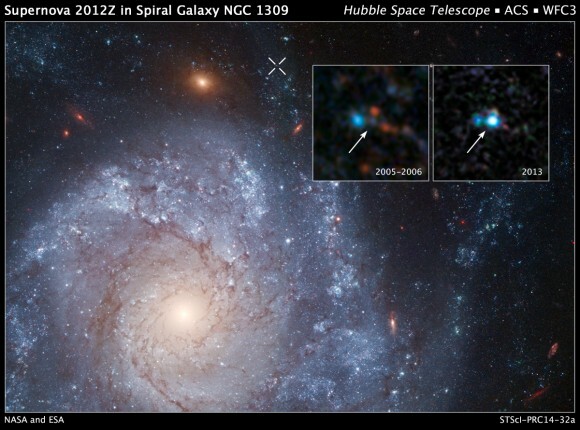 Next, by Ken Kramer, thanks to the wealth of information stored in the Hubble data archive, astronomers can easily revisit old images in an effort to better understand new discoveries. Now, astronomers have used the archive to find the progenitor of a mysterious type of supernova, dubbed Type 1ax, which is less energetic and much fainter than its Type Ia cousin. And finally, via Elizabeth Howell, who can imagine Uranus as a quiet planet now? 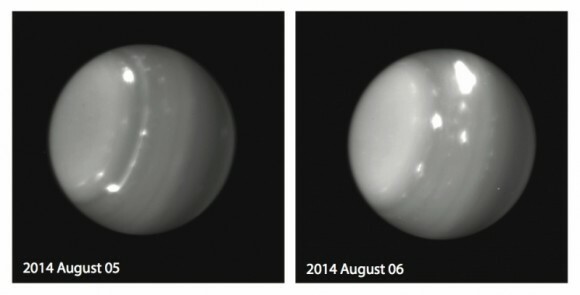 The Keck Observatory caught some spectacular pictures of the gas giant undergoing a large storm surge a few days ago, which took astronomers by surprise because the planet is well past the equinox in 2007, when the sun was highest above the equator. Brian Wang at Next Big Future presents two stories of note. First, Closing Bell Session is a talk about SpaceX being the number one on CNBC’s Disruptor 50 List. They also talk about SolarCity’s major plan in NY and Tesla’s direct sales update. Elon Musk feels it not just getting humans to Mars but there needs to be a sustainable human City on Mars for humanity to be multiplanetary. Elon says Spacex should recover and relaunch a first stage booster next year (2015). Also, Bigelow Aerospace has hired former NASA astronauts Kenneth Ham and George Zamka to form the cornerstone of the private astronaut corps. The North Las Vegas, Nevada, company will need to maintain and operate the inflatable space habitats it plans to launch some time after 2017. 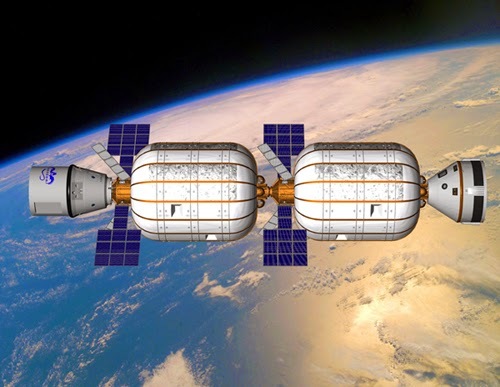 Bigelow said the smallest space station his company plans to fly will require two BA330 modules, each of which has 330 cubic meters of internal space. Paul Scott Anderson at the Meridiani Journal celebrates Curiosity rover’s second anniversary on Mars as it approaches mountain goal. 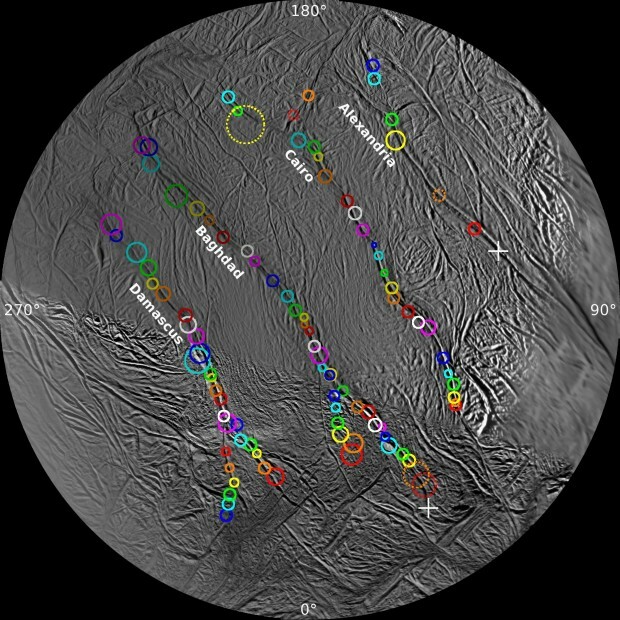 And then, Behold Enceladus: Cassini maps 101 geysers on tiny Saturn moon! I’d like to share a post I wrote for Science Friday as a follow up to the Perseids blog post on CosmoQuest. I explain how to use an FM radio to “listen” to a meteor shower, and also how to build an Itty Bitty Radio Telescope to observe the Sun. This accompanies a segment I did on the show on Friday afternoon. Thanks to the Science Friday team for having me! And finally, Saturn is one of the most beautiful planets in our solar system. However, the storms on Saturn are something else! Let’s take a look at the terrifying storms on Saturn with Zain Husain of BrownSpaceMan. Thanks, everyone, for participating in the Carnival! Want to be a part of it? 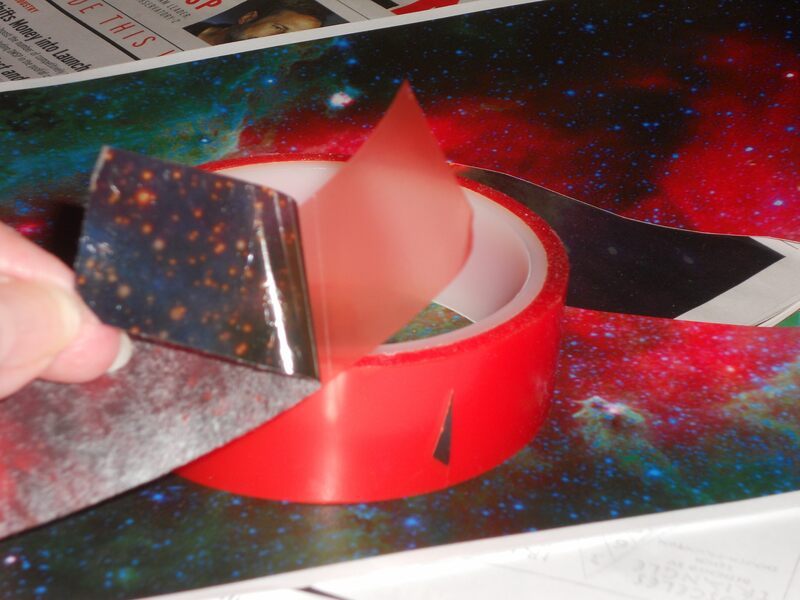 Find out more about the Carnival of Space at Universe Today. P.S. I’ve been remiss in posting the last two carnivals, so if you haven’t seen them yet, go on over to Carnival #364 at Photos to Space and Carnival #365 at AstroSwanny’s AARTScope Blog.